The African Union on Monday called for the "rights and freedoms of all Congolese" to be upheld, amid mounting tensions over the country's presidential race. Candidates must submit their applications to run in the Democratic Republic of Congo's (DRC) long-delayed election, due on December 23, by Wednesday evening. 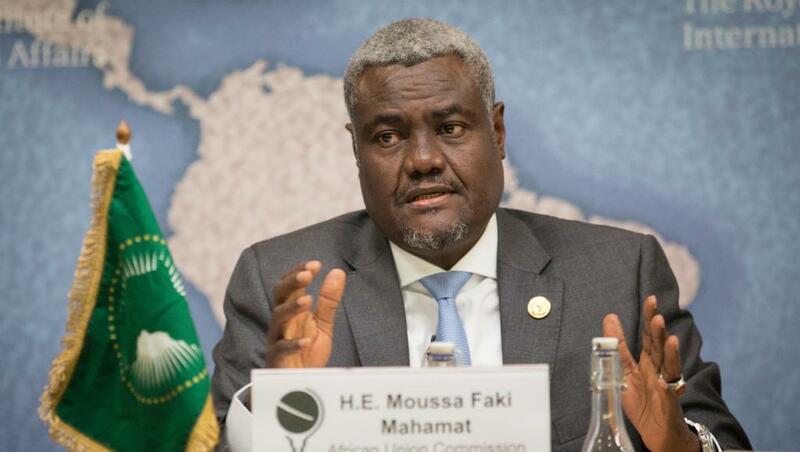 "At this crucial stage of the electoral process, the Chairperson of the Commission (Moussa Faki Mahamat) reiterates the need for all stakeholders... to ensure peaceful, transparent and truly inclusive elections are held," the AU said in a statement. "(Mahamat) calls on all political actors to act responsibly and in the best interests of their country, which must prevail over all other considerations." It was "crucial" that the rights and freedoms of all Congolese voters be respected and a "level electoral playing field" be ensured, it added. The statement was issued after opposition leader Moise Katumbi was blocked from returning home last week to file his bid. Katumbi, 53, a wealthy businessman and former governor of the province of Katanga, was barred from entering the DRC and charged with offences against state security, officials said. He has been living in self-imposed exile in Belgium since May 2016 after falling out with President Joseph Kabila. Another Kabila rival, former warlord and ex-vice president Jean-Pierre Bemba, 55, returned home last week. He officially launched his bid for the presidency on Thursday. The DRC has never known a peaceful transition of power since it gained independence in 1960. Kabila, 47, has been at the helm since 2001, presiding over a vast mineral-rich country with a reputation for corruption, inequality and unrest. He was scheduled to stand down at the end of 2016 after his second elected term, technically the last permitted under the constitution. He has refused to spell out whether he will seek a new term or perhaps declare his support for a chosen successor.